CITEC Group, is an industrial group of companies with worldwide projection, presence and distribution almost all over the world, involved in R+D+I investment and the manufacturing of high level technologic products, through a human staff of more than 250 people. Its target is to develop and produce components for the industry as a whole and, in particular, for all the utilities related to transportation of fluids, especially for the sanitary and automotive sectors. 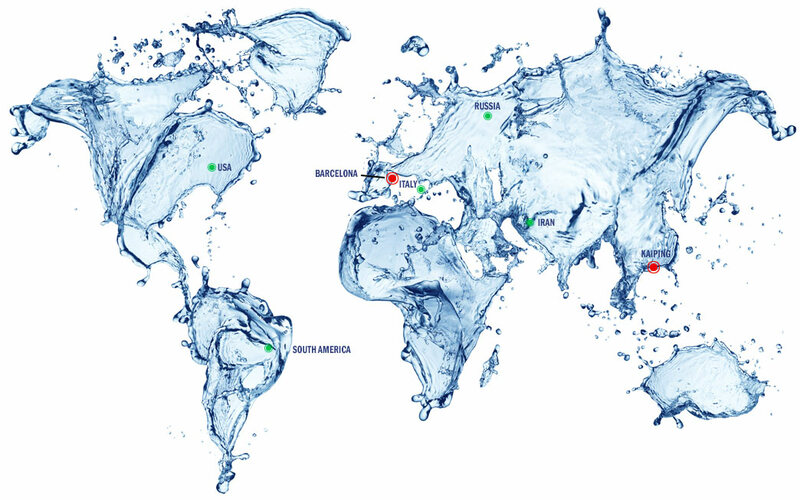 At CITEC Group, we develop, produce and sell advanced technological solutions for the fluids transport markets, particularly those used in the sanitary fittings and the automotive sector in an environmentally friendly way. In the past years the company has been known by technological commitment, research and development of new products. IT-CITEC: Group´s Headquarter, located in Molins de Rei (Barcelona; Spain) The productive and logistic platform for Europe, Africa and part of American markets (including the distribution warehouse of these áreas) is based in more than 5000 m². A team of experts design, improve, update and develop the new products according to the current standards as well as the tooling for its manufacturing. It is the R&D&I headquarter of the Group. 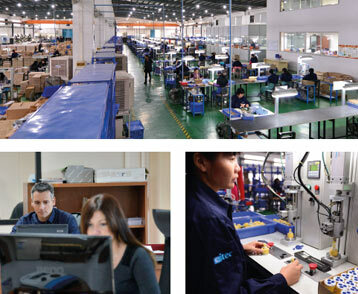 KCITEC: Group’s Industrial Platform, located in Kaiping (Guangdong; China). Disposes of more than 8000 m² which concentrate all the necessary productive equipment so that its highly qualified staff can carry out the manufacturing of the tooling and moulds, the plastic injection, the CNC machining, the assembling, the quality control, the storage and shipment of all our products. It is the Commercial headquarter for Asian, Oceanian and part of American markets and includes the Quality Department (with a very modern laboratory able to do all tests required for the different standards for the development of new products as well as for production control) and the R&D&I office (which works in constant communication with Molins de Rei office). CITEC Trading: Group´s trading company, located in Kaiping (Guangdong; China). It is responsible for the promotion and massive export of all products developed by the company. CITEC Moulds: Industrial company located in Kaiping (Guangdong; China). It is in charge of the design, development and manufacturing of moulds, for own production as well as for custom tailored goods, for the most diverse uses. CITEC Injection & Assembly: Industrial company located in Kaiping (Guangdong; China). It is responsible for the injection of thermoplastic pieces for own products as well as for customer tailored godos, for the most diverse uses. CITEC Ceramics: Line of business focused on all type of watertightness applications by ceramic closing. At CITEC group we are seeking excellence in the heart of the company and our goal is to achieve máximum quality in all production processes. We place particular emphasis on people and the means we work with, believing that our way of doing things should be based on professionalism and teamwork. The central value of the daily activity of CITEC is the organisation´s commitment to its customers and stakeholders.Our work must clearly show those principles to which it is subject to: professionalism, integrity and transparency. We seek to be leaders in our sector through three basic lines of action: Initiative, Future Vision and Technology. Under these premises we try to give solutions to the needs of our customers, help our partners and bring benefits to the society in general. 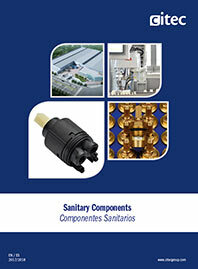 In order to achieve this, we develop, produce and sell in the environmentally most respectful way possible, the most advanced technologic solutions for the fluid transport sector, especially in everything related with the sanitary fittings, with the target to satisfy all requirements and expectations of our customers. Always working in a sustainable way, we plan our continuous growth in a structured manner, so that we can guarantee our future as a company and as a human group. Innovation is one of our banners. We try to stay of what legislation or standards require in sense of purpose or regarding market trends relying on our experienced vision. Ongoing improvement allows us to be rigorous, effective and agile in the solution finding. For us this is one of the keys to the business. Commitment to the customer is another fundamental value. Our experience in the sector and our close position to customers (and potential ones) allows us to understand their needs better. We are always ready to tailor the product according to special requirements. Last but not least, we greatly value the work made as a team, based on a comfortable environment in which communication is essential.